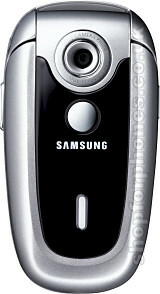 The Samsung X640 is an ultra-compact camera phone with smooth good looks that combines style with practicality. Weighing less than 80 grams, the Samsung X640 features a digital camera, 128x160 pixel display in 65,000 colours, a web browser, downloadable Java games and other applications, and polyphonic ringtones. The SGH-X640 features an internal antenna - a small but useful feature that prevents the handset from snagging when carried in a pocket or bag. There's a VGA resolution (640x480 pixel) camera too for taking snaps which can then be sent by the X640's built-in MMS (multimedia messaging). Exact details of the Samsung X640 are subject to confirmation, as is the projected launch date. Please subscribe to our newsletter for updates. If you want more information on the Samsung X640, subscribe to our mailing list. Also, the Update newsletter contains general news about new phone releases.